5/24/16 Born in the 1940’s We Remember with Meria and Jim Fetzer. BRICS nation coup’s – Venezuela & Brazil vs. the IMF; Sanders-Trump-Hillary;kissing the ring of Kissinger and AIPAC;endless wars;Wesley Clarks revelations;Libya-Iran;Adelson backing Trump;establishment politicians;dead Congress pledge to Israel;Bill Clinton;28 pages on 9/11;Saudi’s expose 9/11 as inside job to create war of terror;CIA/MOSSAD and false flags;Bin Laden-CIA asset;Israel=ISIS;Panama Papers expose Hillary & Trump;non-intervention;Obama and Vietnam this Memorial Day; Rafael Cruz & Bush Zapata oil;2nd amendment; end of the two party system? 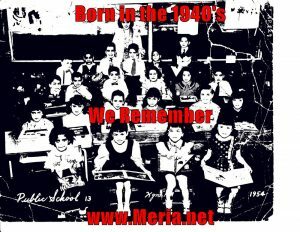 One Response to "Born in the 1940s We Remember -with Meria and Jim Fetzer"
Should I just make out my check for my quarterly tax payment to The State of Israel and cut out the middleman (IRS)?